Today we’re going to be talking about the publications section on your LinkedIn profile. Now, this is a section I often see overlooked, so I don’t want you to overlook it. You do not need to be a published author to use this section. If you look through my publication sections, I’ve included my most popular blog posts. These posts are strategically chosen because I want people to know that I’m asked to blog in other influential places like the Huffington post, and DailyWorth, and Social Media Today. With this, you get double the benefit. For one, it positions you influentially on your LinkedIn profile, so people know that you do write and they can also check out your blogs. You’re likely sharing your posts in other places on your profile but this is one place where you can accumulate the things you want most to get out to your audience, but it also lets people know that you’re influential in a way that other people ask you to blog for them. If you’re not guest blogging you could find other things that you’re doing to share here. And if you are guest blogging I absolutely want you to share some of those guest posts on the publication tab. It’s really easy, you just click ‘add the publication’ you put the title, blog name, and URL. This drives more traffic to that post, drives more traffic to your guest post, so that’s a win-win for everyone. 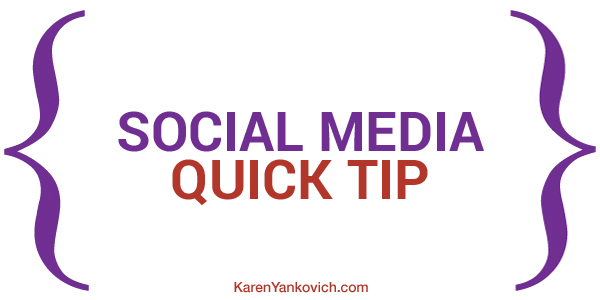 That’s it for today, a quick social media quick tip, add some publications and I’ll see you again next week.